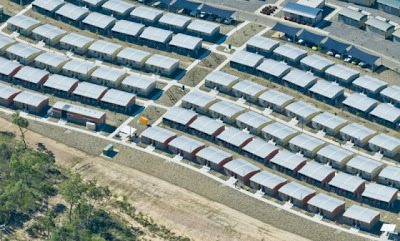 Hutchinson Builders in Australia has a modular home factory that recently complaeted a $13.3 million contract for BMA (BHP/Mitsubishi Alliance) for 180 single person accommodation units for installation in the mining town of Dysart, central Queensland. Each unit will have a bedroom, living area, study and deck. With three different color schemes, the modules are ‘mirror imaged’ to complement the on-site camp layout. 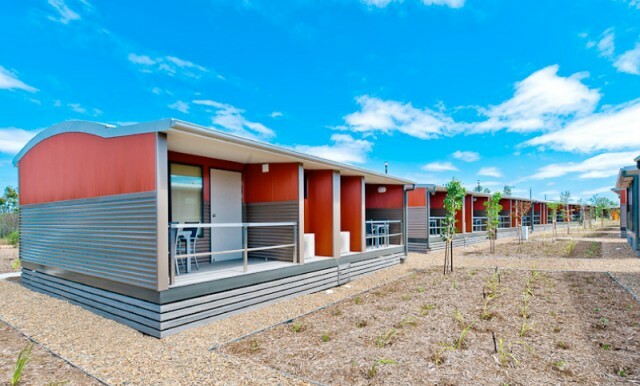 An average 12 modules per week were produced at one of the Hutchinson Builders modular construction factories in Yatala south of Brisbane and then transported to site for installation on screw pile foundations. Yeah really nice work. Thanks for sharing wonderful post.